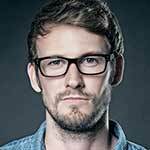 Denver Mattress has taken a unique approach to their mattress selection. Customers take a sleep quiz and get paired with a sleep animal. There are four sleep Animalzzz that each represent a different firmness bed. We explore our inner beast in the Sleep Animal Mattress Review. The first step with the sleep animal mattress is to take their quiz. It only took us a few minutes and presented customers with a sleep animal at the end. Our sleep animal is Bernie the Bear who prefers a soft top medium support mattress. There are four different animals, each with unique mattress styles. Head down to our bed construction section to learn about all the different sleep animalzzz. We were assigned the Bear because we needed a bed that worked for a side and back sleeper. 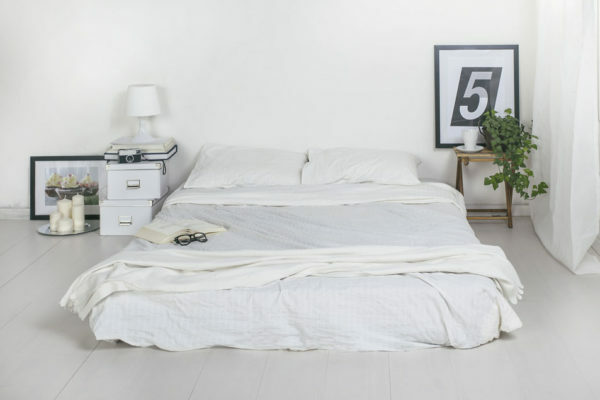 The Bernie mattress is a soft top with a medium support base. We gave it a 5 out of 10 firmness (10 being the firmest). The combination of soft top and high-density core provides a comfortable sleep. It isn’t too soft, but it isn’t too firm either. The Bear animal mattress has a nice amount of support for having such a plush topper. The medium-core high-density foam base provides an excellent foundation. The soft top does a great job dispersing the weight of the sleeper evenly over the support layer below. We found there was around 2″-3″ of sinkage with the sleep animal mattress. The temperature sensitive foam top is soft and snuggly. It hugs the sleeper, letting the hips and shoulders sink in just the right amount. The only downside of a soft foam top is the lack of responsiveness. The foam animal mattress is less responsive than latex or spring mattresses. The animal mattress does an excellent job diffusing horizontal motion transfer. Memory foam is perfect for sleepers who toss and turn a lot during the night. The movement will be absorbed by the bed, allowing your partner a hassle free sleep. We always recommend memory foam for picky sleepers who have trouble with movement. 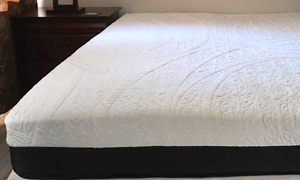 Denver Mattress designed the top layer of their beds to be more breathable than memory foam. The comfort layer has thousands of air pockets allowing it to breathe. This design allows the Sleep Animalzzz mattress to sleep cooler than other similar foam beds. We found no complaints of off-gassing or odor with the Sleep animal mattress. The bed is made in the US, held to the highest Certi-pur standards. Customers can sleep easy knowing they aren’t breathing in bad chemicals. The Bernie Sleep Animal is a 5 out of 10 on the firmness scale. This bed is ideal for couples with different firmness needs. The Bernie is an excellent blend of softness and firmness. The Soft top of the Bernie gives around 2″ of sinkage. The top comfort layer will hug sleepers, but still allows some eaze of movement. Denver Mattress has put a lot of thought into the Sleep Animalzzz beds. The sensitive foam top layer sleeps cooler than traditional memory foam. 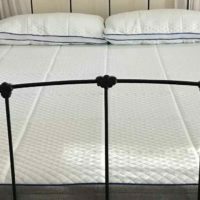 Denver Mattress sends their beds out from a facility located in the USA. They are focused on keeping work inside the USA. We are working with Denver Mattress to bring our readers a Sleep Animal coupon. We know a little extra discount is often the final decision maker when it comes to buying a bed. Check back regularly, as we will update this page with our Sleep Animalzzz coupon codes. 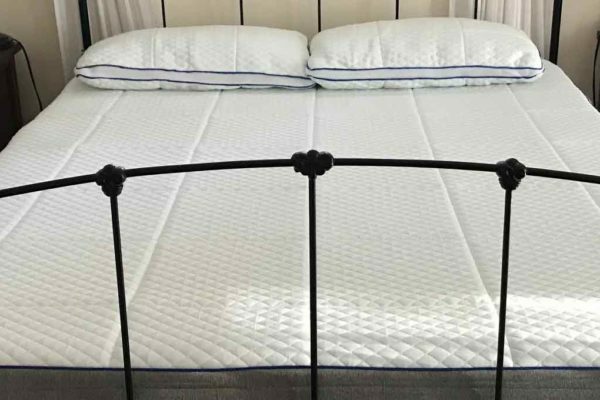 Join us as we explore the inside of this bed with our Sleep Animal mattress review. It’s important customers understand what is happening inside the bed. That way sleepers can make a better-informed mattress purchase. The cover is breathable which is ideal for temperature control. The open cell design allows air to pass through quickly, keeping the sleeper cool. A temperature sensitive foam that hugs the sleeper, while still allowing air transfer. A high-density foam that provides the foundation for the Bernie Bear mattress. This layer works with the top foam layer to provide a gentle support that won’t hurt the joints. The Sleep Animalzzz mattress is a very reasonably priced bed. Customers will pay only $800 for a queen, which is a great deal for a bed made in the US. Our only complaint with the Sleep Animal mattress was the bed size choice for check out. It took us too long to discover the circles with the t, txl, f, q, k and ck were the mattress size options. 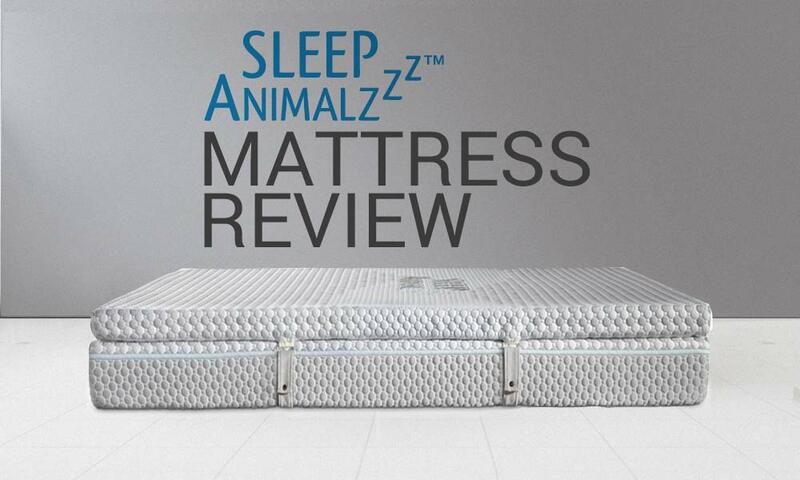 Let us know about your experience in our Sleep Animal Mattress review comments section. Denver Mattress has made bed buying a fun and enjoyable experience. Customers take a quick quiz and learn which bed they match. Our Sleep animal bed, Bernie the Bear, is a medium firmness bed with great support. The temperature shouldn’t be an issue thanks to the open cell cover and temperature sensitive foam. As always, customers have 120 days to try out the bed risk-free.